Mazi Javidiani is an experience designer, researcher and artist. His work has consistently resulted in untangling complexities, improving user experiences, and fostering engaged human centred responses to problems. "Mazi demonstrated an exceptional mix of creative vision and responsiveness to political sensitivities associated with the project. He was quick to respond to a high volume of requests and flexible with last minute changes. I was very impressed with his talent and his professionalism." Through Interviewing 9 experts from Canada, US, and Australia and engaging over 40 different participants from across the country using dialogic design methodologies this research generated innovative proposals addressing the crisis in journalism. 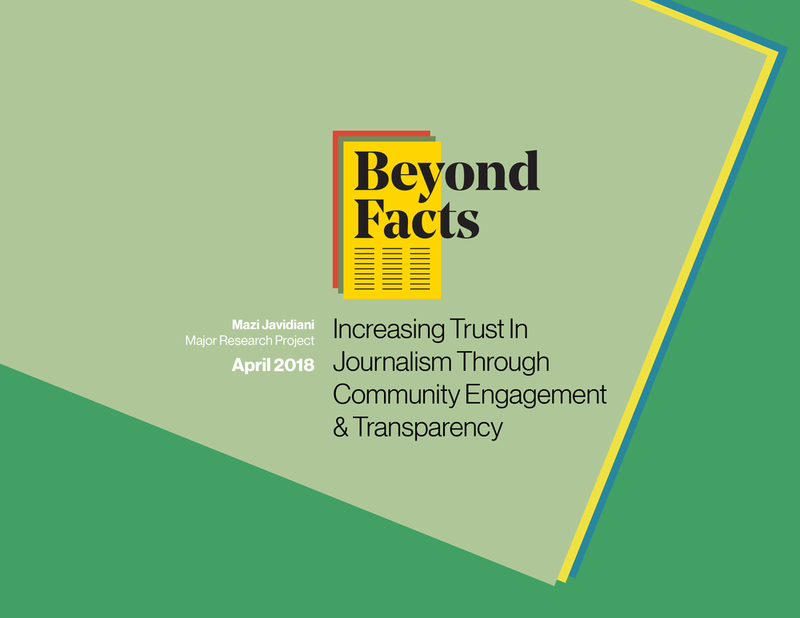 The research concluded with a workable roadmap and identified two key leverage points that would help journalism build trust with communities: Engagement and Accountability. Consulting the deputy minister’s office to build greater capacity for stakeholder engagement, UX research, and systems thinking, and their potential value towards innovative product, program and policy development. A critical look at some of the assumptions behind social innovation labs, their culture, and relationship to funding. Produced as a synthesis gigamap, this research investigates how and where a social innovation lab can create the most impact. Addressing general public's lack of trust in and support for development of affordable housing in their Edmonton neighbourhoods. Part of Mayor's initiative to end homelessness. A look at how can we reduce the experience of impermanence in refugee camps by leveraging community networks and “best practices” for refugee funding to improve refugee mental health. Cultivating creative environments and nurturing strong client relationships. My training in performing arts has given me the necessary skills for writing and delivering inspiring and engaging presentations and pitches. I am able to respond positively and calmly to shifting priorities, demands and timelines. For example at Canadian Heritage and Berlin, I have delivered many successful pitches, facilitated workshops around controversial issues, and developed tools for better assessing clients’ needs. I have applied this philosophy as a service designer on several governmental programs, as well as a UX designer on iOS video games including The Price is Right™ and Jurassic Park™, both of which were among the top grossing mobile video games in the iTunes global ranking. I have also served as an adjunct professor of user experience design at Macewan university. A mindset framed by inquiry rather than certitude, one that embraces paradoxes, appreciates complexity, and seeks multiple perspectives. It is a way to approach complex problems, by constant zooming in and out, looking for patterns. It is about understanding interactions of the parts, as well as the function of the whole. My background in cybernetics and philosophy has trained me to think critically and always look further than what is presented. - ideas that are otherwise challenging to describe through verbal language. Through effective use of visual communication, I was able to present complex research on affordable housing in a simple visual language to the general public.